Everything around your case involves the SRX number. Support case emails have SRX IDs like SRX01234. It’s very important to include this SRX case number on the SUBJECT LINE. 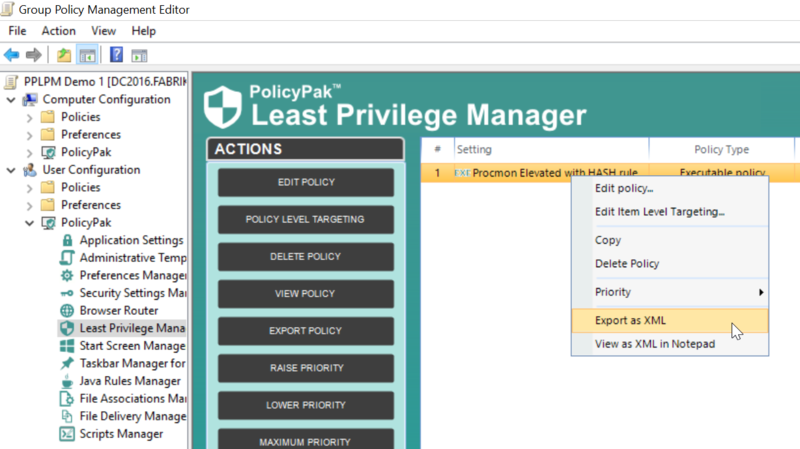 In these examples, you will also collect log files and rename them and pre-pend file names with the case number as shown in the examples below. You will NOT ATTACH these to your email. Log files are UPLOADED to our SHAREFILE system. The URL is provided when you initiate a case. The PAK name and compiled with value. The CSE version you are using. A “story” of the problem, where the GPO is (user or computer side) and what it’s doing and where it’s linked. The RESULT on the endpoint. Here’s avideo overviewof how to collect logs and name them correctly. 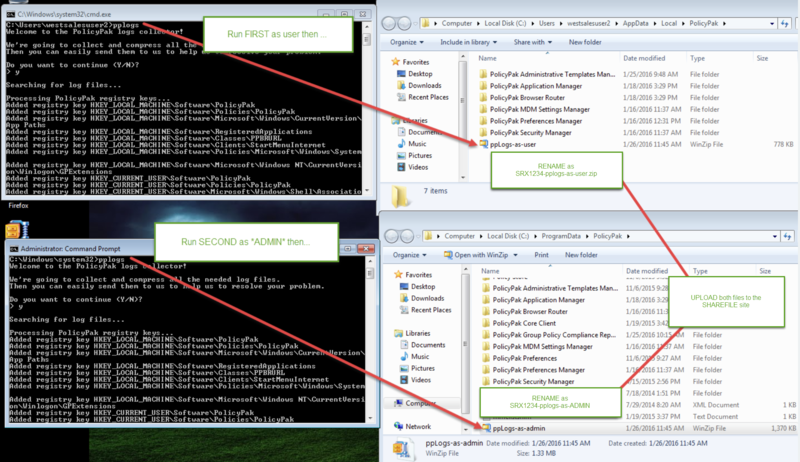 On an affected endpoint, you’re going to run PPLogs TWICE. Use anADMIN command promptand run PPLOGS. Rename toSRX01234-ppLogs-as-Admin.zip. Use aNORMAL command promptand run PPLOGS. Rename toSRX01234-ppLogs-as-USER.zip. Your Export of any relevant settings. 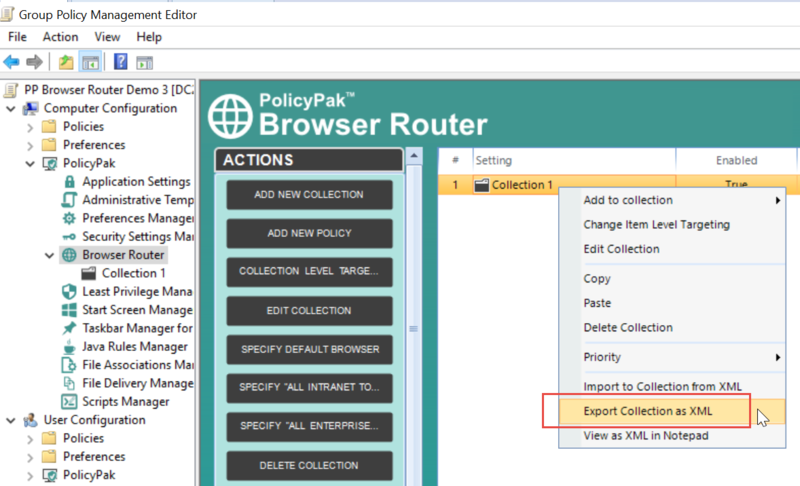 Most PolicyPak settings are simply right-click EXPORT like this (Collection and individual policy shown)…. 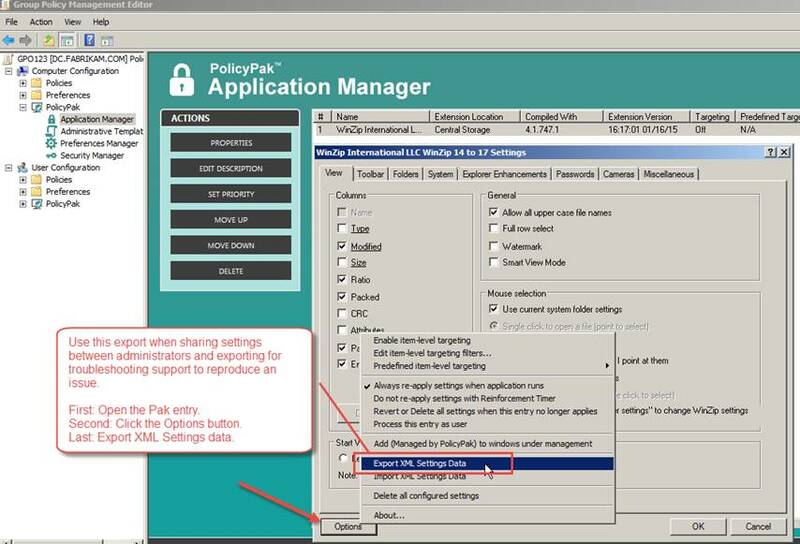 For PolicyPak Application Manager (most common) this is what you want to do: There are TWO ways to export settings. This is the type of export we REQUIRE. You must press the OPTIONS button within the Pak then select Export. Finally, upload them to SHAREFILE.. With the LINK you get in the BOUNCEBACK. Do NOT attach in your EMAIL, they will be automatically dumped by the email system.